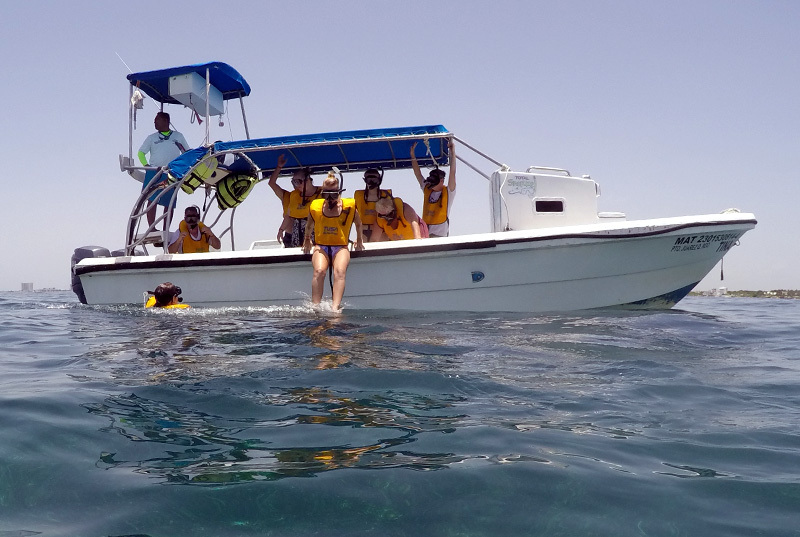 3 Dip Guided Cancun Snorkel Tour- Swim with turtles! 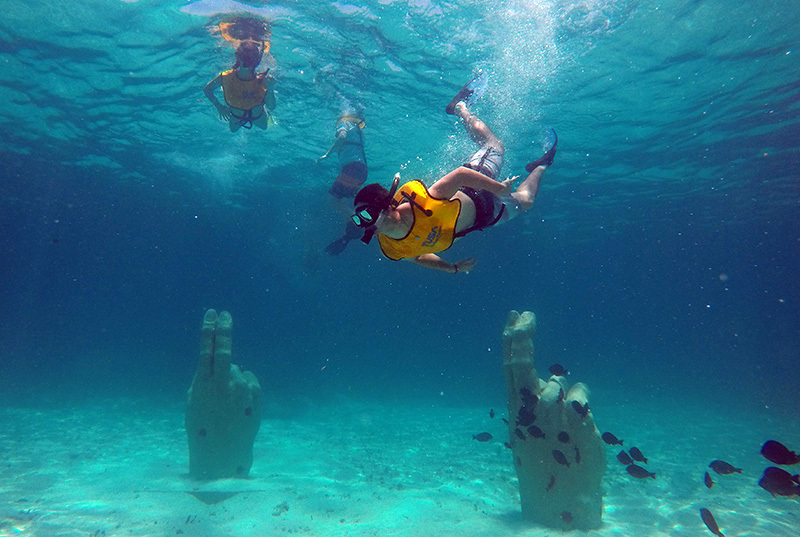 This is the best snorkeling tour in Cancun, period! 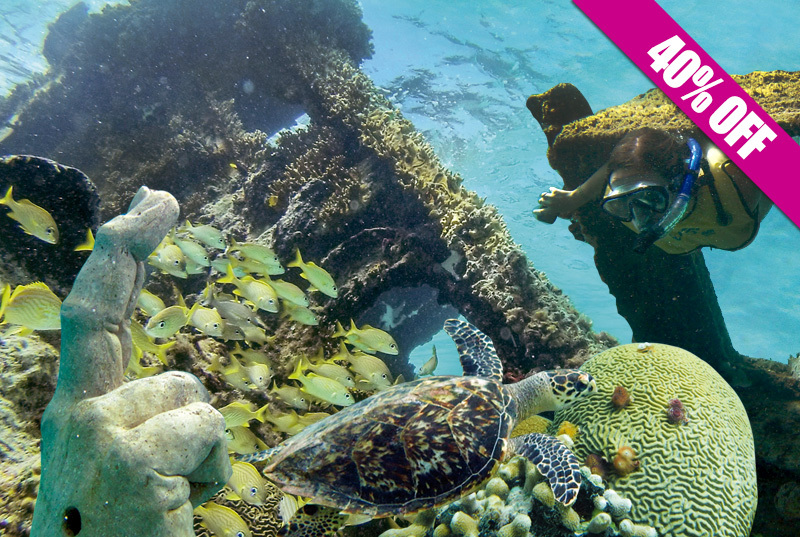 Enjoy a 4-in-1 guided snorkeling tour: swim with turtles, discover underwater statues, snorkel on a full-of-sea-life reef and a shipwreck! If you value personalized service, individual attention for beginners and be surrounded by positive vibes and local knowledgeable English speaking guides, then keep reading. 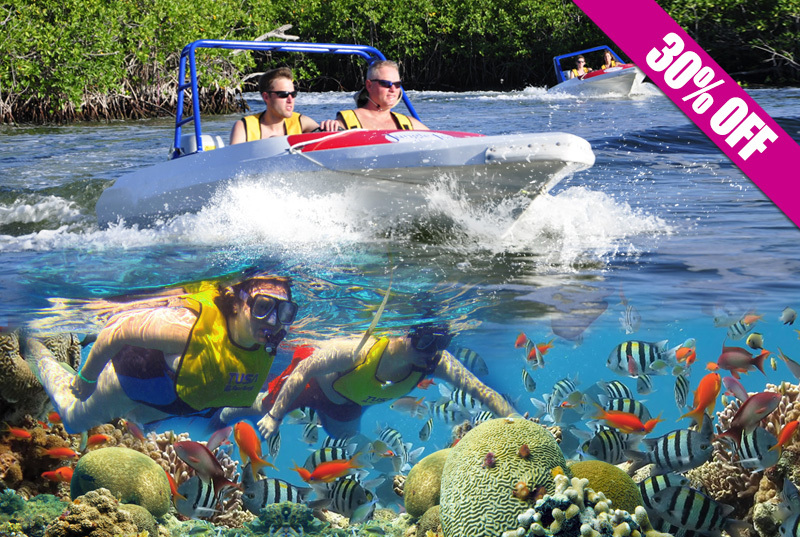 It's not by chance that this tour is rated in the TripAdvisor's top 15 over +199 boat tours and water sports in Cancun. 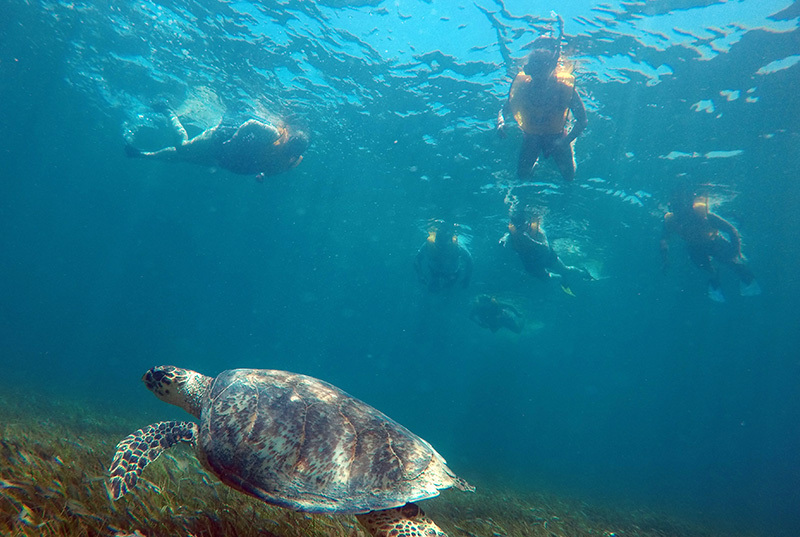 Have you ever wanted to swim with turtles, but you're not willing to spend a whole day? We've heard you, so if you prefer to spend the rest of your day in your awesome resort or doing an extra activity, this "half day tour" is perfect for you. 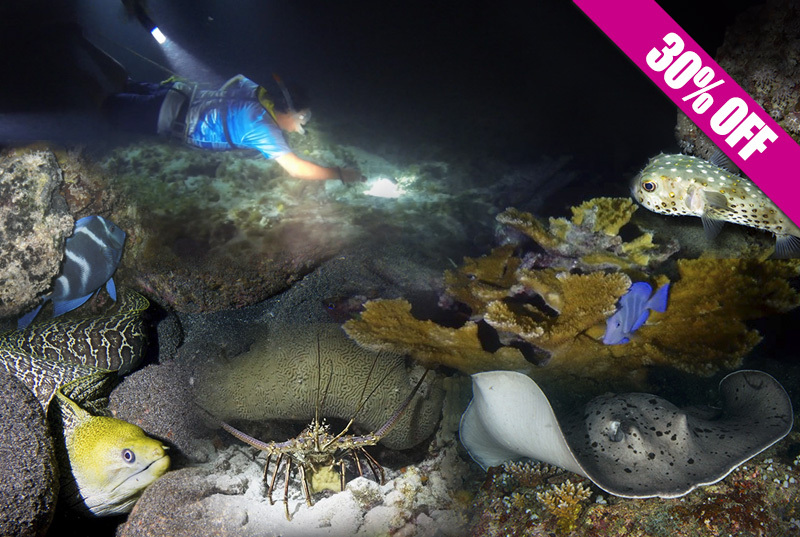 Enjoy 4 completely different habitats in the same tour! 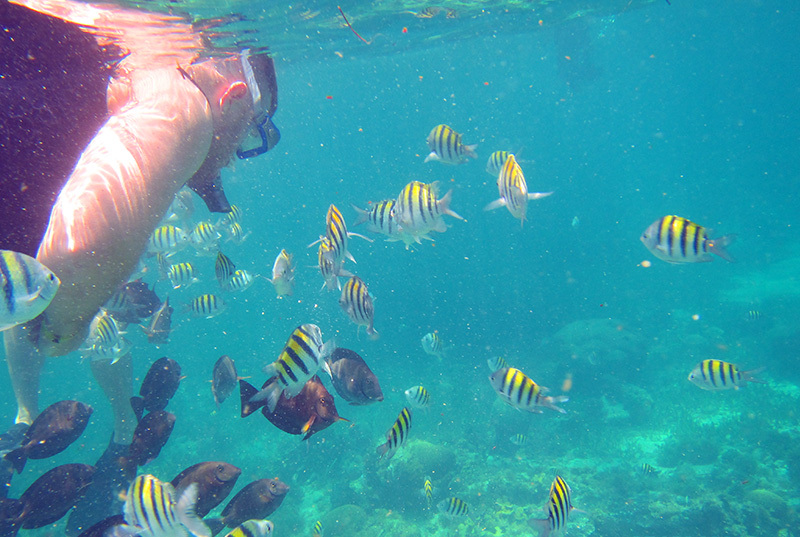 Our 1st stop is on a perfectly well-conserved coral reef, full of sea life. 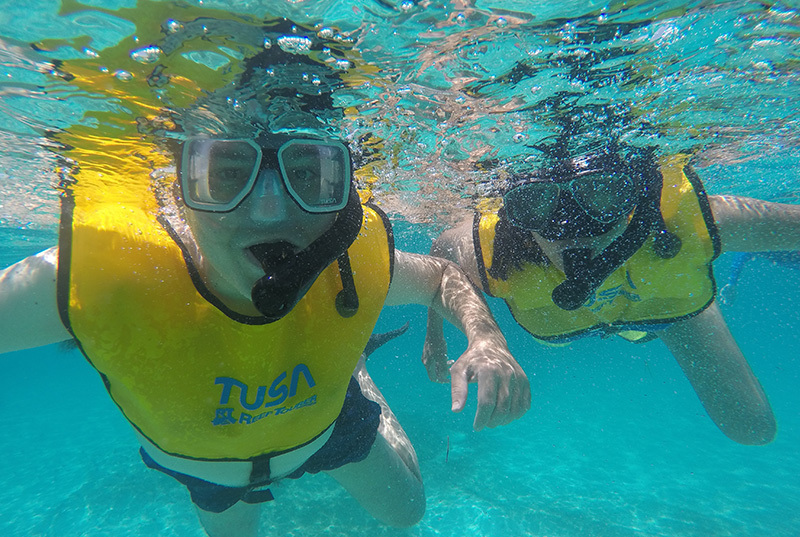 Snorkel with thousands of colorful fish, turtles, and rays! 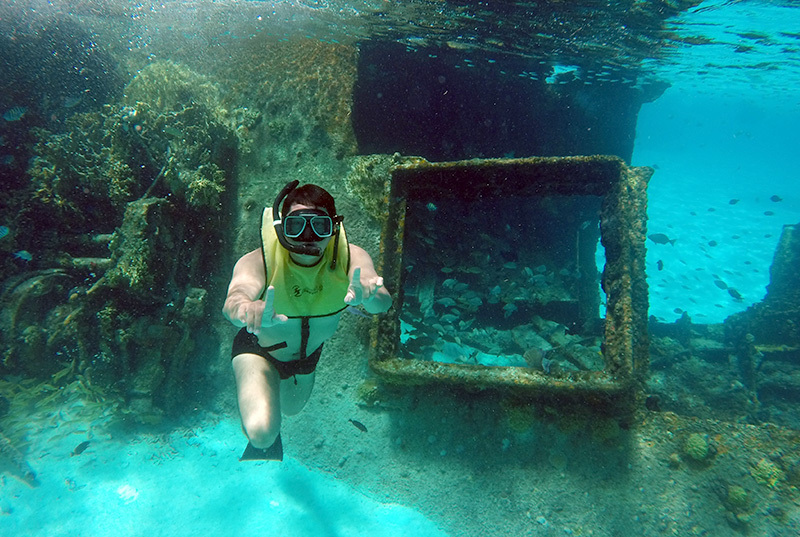 On this 1st stop, you will enjoy 2 art galleries of Cancun underwater museum (MUSA). Discover astonishing underwater statues. 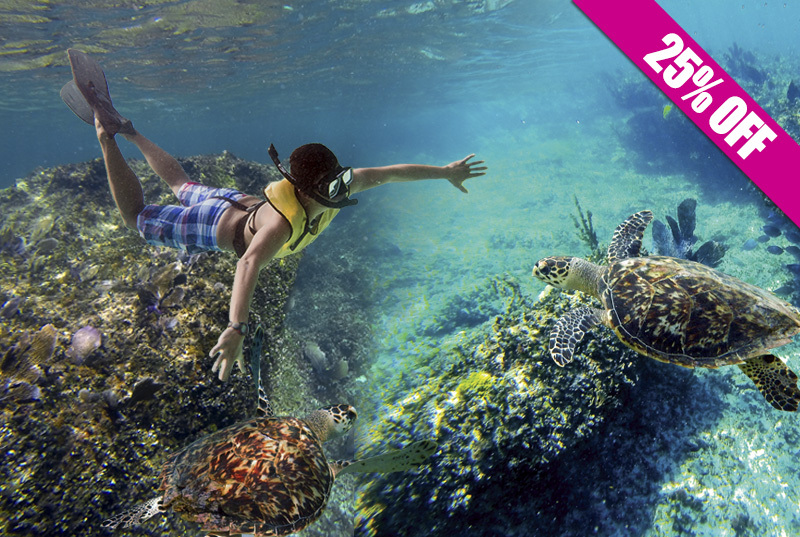 During the 2nd stop, we'll meet sea turtles on their natural habitat. 98% of the times we manage to find from 1-5 turtles! 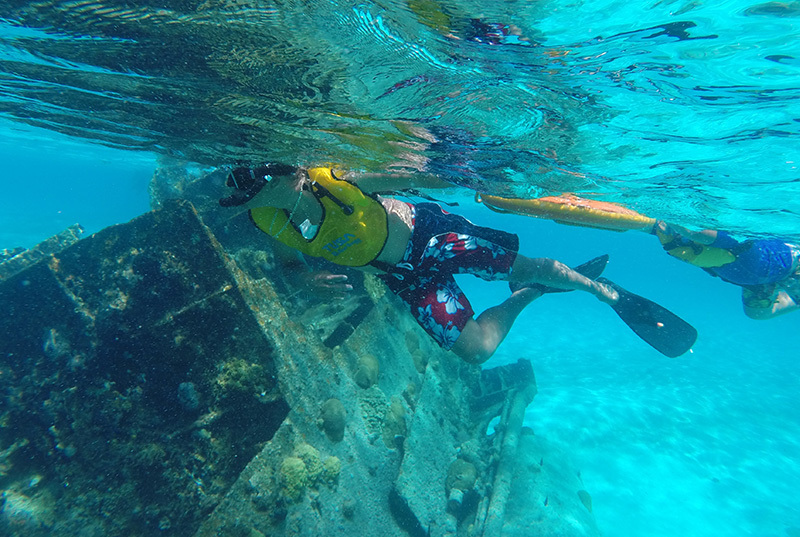 3rd and final stop, explore a shipwreck surrounded by white sand, you'll feel on a natural pool. This tour is family, kids, and non-swimmers friendly, non-experience required. It is performed on shallow and warm waters. Small groups (10 people max. per group)are kept to guarantee personalized service. Transportation, full gear, English speaking guide, and safety briefing is included, you just can't miss this, book it now! Round transportation Hotel-Marina- Hotel (applies from any hotel in Cancun). Full snorkeling gear (mask, life vest, snorkel, fins, weights). Custom Classes, briefing (15-20 minutes) to carry out the activity even if youhave no experience. You'll be taught to wear the equipment properly, swim with fins, breath through the snorkel, to defog the mask and other useful tips. Special attention for non-swimmers: life vest, a guide keeps on the side the whole time wearing a life preserver where the non-swimmer can hold from, personalized attention during briefing-lesson. 4 snorkelings:1st on coral reef, 2nd on MUSA (Underwater Museum of Art)- 2 Galleries: "Las Bendiciones" and "Familia Acuario". 3rd. 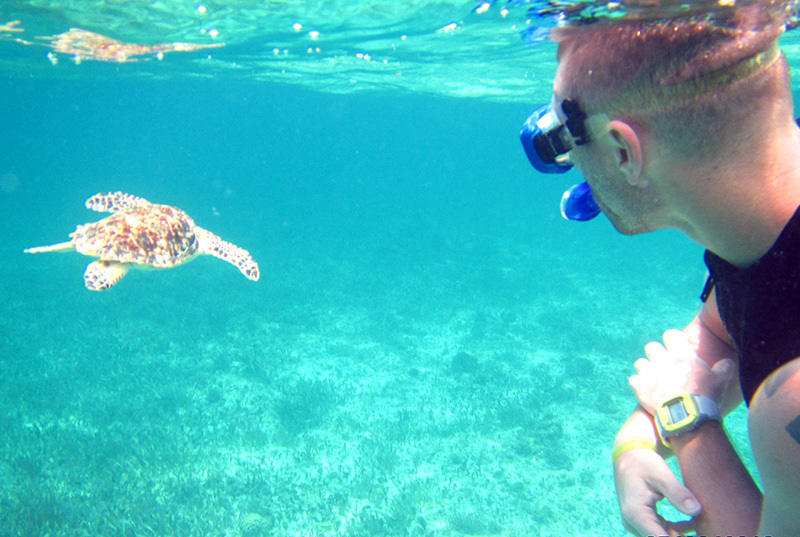 swim with turtles (95-98% chances to see from 1-5 turtles!). 4rth over a ship wreck. "Extraction" service: the marina is located only 1 mile away from the reef, in case you get dizzy, a boat will take you to land within minutes!. Dock fee is not included ($ 10.00 usd. Per Person). Photo and video service (optional for purchase). Swimsuit, sunglasses, biodegradable sunscreen, dry clothes, towel and cash for personal expenses. Only children older than 6 years (accompanied by an adult). A responsive letter must be signed, in the case of children their parents must sign.